2. Jetser has a business that is not doing well. On Friday, he earned 468 dollars. On Saturday, he earned 459. On Tuesday, he earned 432 dollars. How much money did he earned on Thursday? 3. Look at the base-10 blocks below and tell which number it represents. Take a close look before answering! 5. What number is the same as five thousand twenty-two? 7. Which number is greater than 5678 but less than 5708? 9. How many blocks of 100 and 10 can you make with 3250? 12. 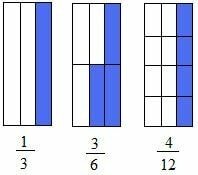 Which fraction is greater than 2/3? 64837 + 4598 = ? 92345 - 91422 = ? Which of the following shape could you probably use to describe the shape of your eyeball? Which of the following shape could you probably use to describe the shape of the refrigerator in your house? 20. Which two circles when added will give you a whole? 21. Make a circle. Break the circle into 4 equal pieces. Then, shade two-fourths of the circle. You 6700 dollars in your pocket. You want to buy 7 laptop costing each 800 dollars. 26. If 5 books cost 100 dollars, what is the price of 2 books?